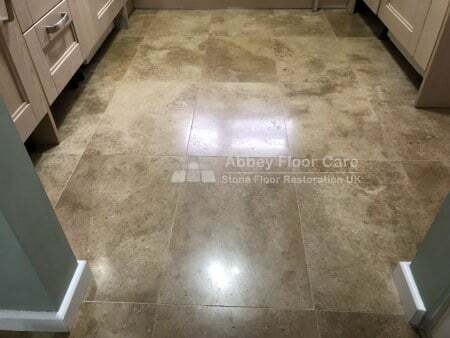 Travertine Polishing Gloucester GL4 project details. 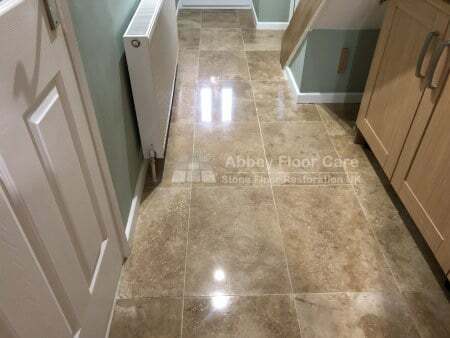 My customer in Gloucester has a lovely polished Travertine floor. After 10 years, and a previous polish, in places, the shine was starting to wear. The tiles also had a few visible holes and deep scratches. 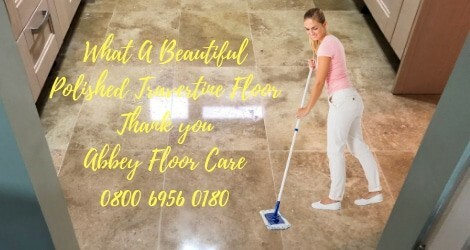 After completing the Travertine restoration work, my client was delighted. The floor looks beautiful again, just like the day it was installed. I started by cleaning out the holes and filling them with a 2 part filler to match the colours in the tiles. As the repair filler was curing, I worked on the deep scratches. 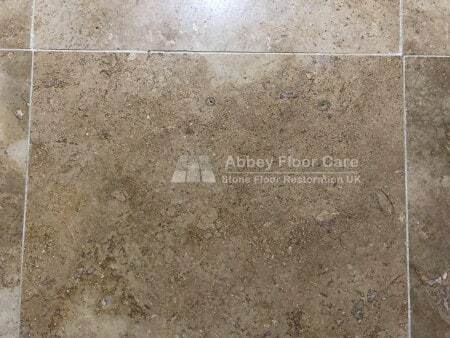 The only way to remove scratches in Travertine is to remove the surface of the tile to the depth of the scratch. I used diamond honing pads for the repair, taking care to feather the repair across the tiles. The feathering minimised the visible depression in the surface of the tiles caused by the repair. Once the filler repair had cured, I honed the filler smooth to the surface of the tiles with diamond honing tools. My client had taken excellent care of her floor. Which meant that the floor finish was in good condition. So I did not need to grind or hone the floor before polishing. 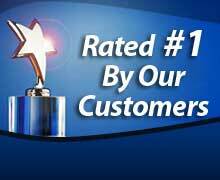 Consequently, the costs for polishing were significantly less than most of the Travertine floors I polish. 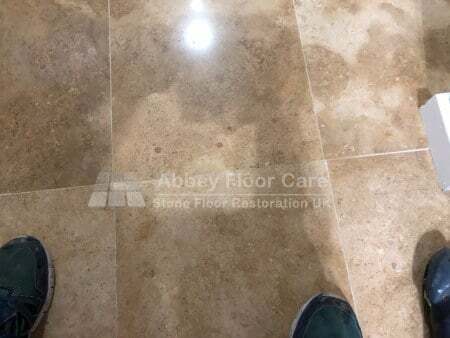 I polished the floor with marble polishing powder to create a deep lustrous shine. The polishing process uses a minimal amount of water. This meant that the floor was dry very quickly, ready for sealing. I sealed the floor with three coats of high quality impregnating sealer. I explained that the sealer would not protect the Travertine from acid spills. Any acid spills will leave a dull etch mark.